Volunteers across the country make lacrosse a successful sport and we work hard to ensure that they are supported in their chosen volunteering role. Thank you to all of the volunteers who took part in the F.I.L Rathbones Women's U19 World Championship who made the 10 days of competition a huge success! Thanks to you, we can build a legacy to make lacrosse a bigger and better sport across Scotland. Read on to find out how you can get involved as a volunteer in lacrosse. Coaches are a specialist area of volunteering, they help lacrosse enthusiasts to develop their skills and as a result, are key to increasing participation in the sport. All aspiring coaches must attend a UK Coaching Certificate (UKCC) training course in order to develop lacrosse at youth level. Qualified coaches can then tap into our coaching network to share ideas and keep up-to-date with current coaching practice. Progression – Level 1 & 2 UKCC, delivering coach education as a tutor and involve yourself in our coaching workshops. Get involved by visiting our coaching pages. Referees and umpires are some of our most knowledgable volunteers. Qualified officials help event organisers deliver their events safely and fairly and provide invaluable feedback to help events and competitors continually improve. Time commitment – Whenever you are free to officiate a game. Progression – National/Continental/International Technical Official which can see you officiating at British/European/ and even World Championships! Get involved by visiting our laxrules page. Event organising is a brilliant place to start your volunteering adventure! You will be led by a section team leader who will be on hand to provide you with information about your duties before and during the event which can include game set-up, commercial advertisement, fixture scheduling and distributing the prizes post-event. Club committee members assume roles such as: chairperson, secretary, treasurer, captain, website editor and Safeguarding officer. It is a great way to be involved in developing your club and to share your ideas to make the club a success. 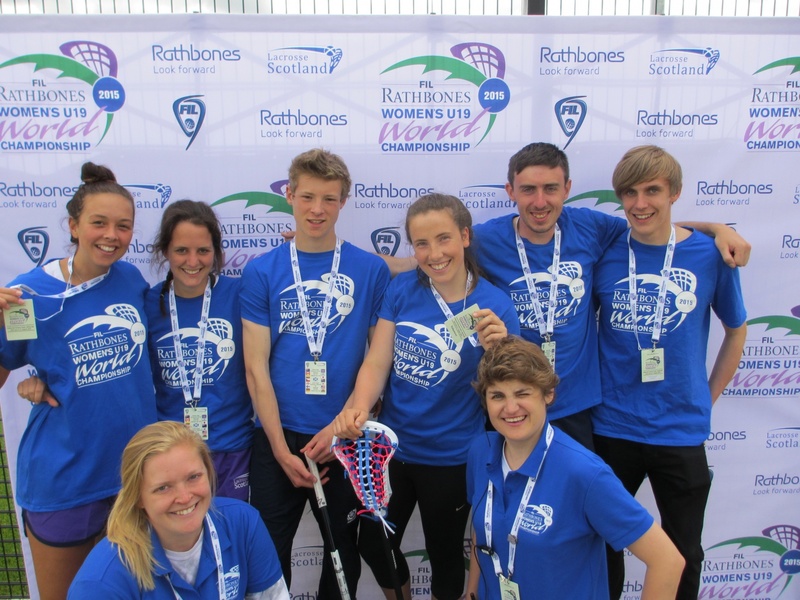 Lacrosse Scotland board members are also key voluntary roles. The Board of Directors determine policy and strategy decisions on behalf of the membership. Good governance is vital to the ongoing strength of any sport and, in particular, to a sport’s ability to attract and retain funding. Board elections take place at our Annual General Meeting. Time commitment – 6/8 board meetings plus preparation time. Vacant board positions are advertised in advance of our May AGM on our vacancies page.